Saturday is the perfect day to do your Christmas shopping in the Heights. Not only are the funky shops on W 19th St the perfect place to get unique gifts, it is also Small Business Saturday. (Since American Express launched itsSmall Business Saturday campaign three years ago, the day has been widely recognized.) These shops, which normally close early, will be open until 9:00 pm. 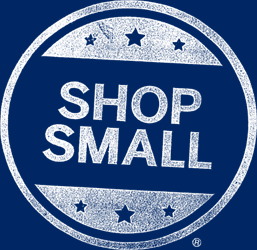 So, do your shopping, support local Heights businesses, and have a fun day. Park once, and do your shopping on foot. An entire business distrct within your reach. Going to the mall is always a chore for me. Wandering down 19th St and shopping is fun though. Every shop is different, and every shop has surprises. So, recover from your extreme sport of Black Friday shopping, calm down and shop in the Heights. Houston Public Media quoted the following: Alexis Kidd works at Jubilee, a boutique that sells everything from clothes to home décor and jewelry. She says the store has seen more customers on Small Business Saturday since it launched. KTRK ran a brief segment on an Anti Black Friday campaign today. See quote and video below. The string of locally-owned shops opened Friday for an “anti-Black Friday” event and kickoff to Small Business Saturday. The event features shopping, food trucks and live music from 5 to 9pm.